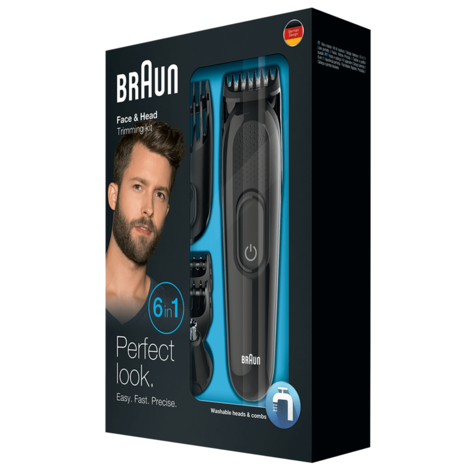 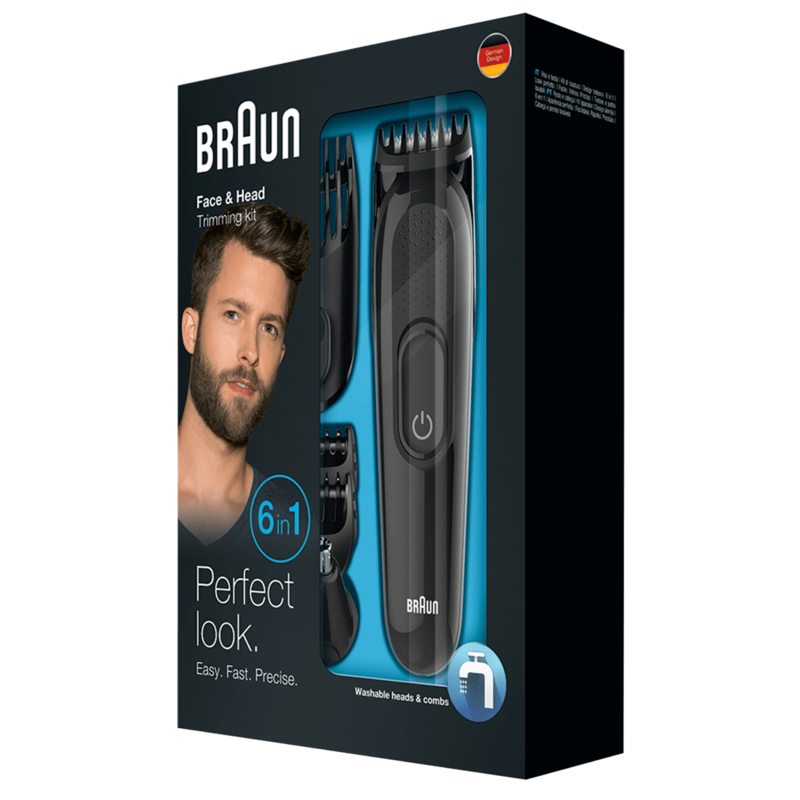 The Braun Multi Grooming Kit is a 6-in-1 beard and hair trimmer. 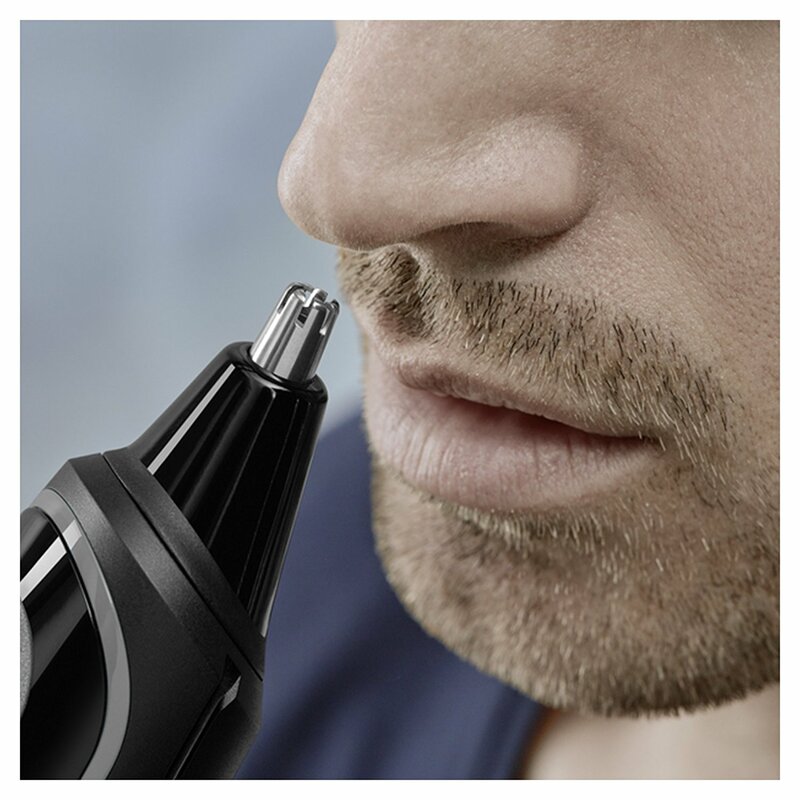 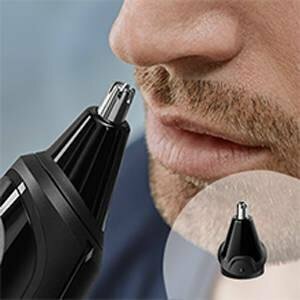 Its attachments will enable you to achieve 6 styling jobs with precision: stubble, short, medium and long beards, hair clipping, ear and nose trimming. 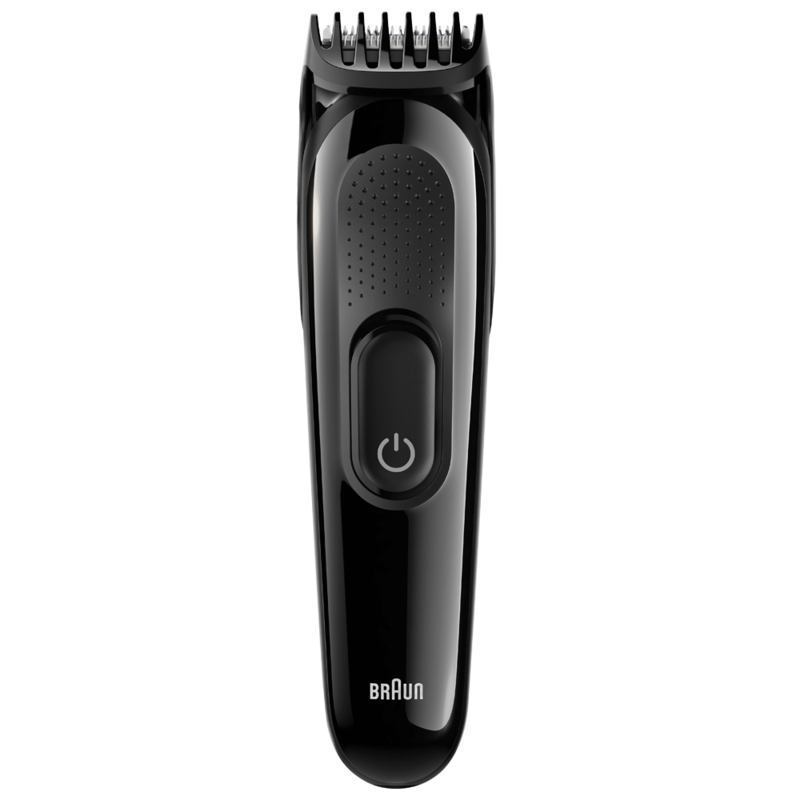 Its durable design features lifetime lasting power and blades for precision trimming without performance loss over time. Six different attachments to trim your beard, head, ear and nose. 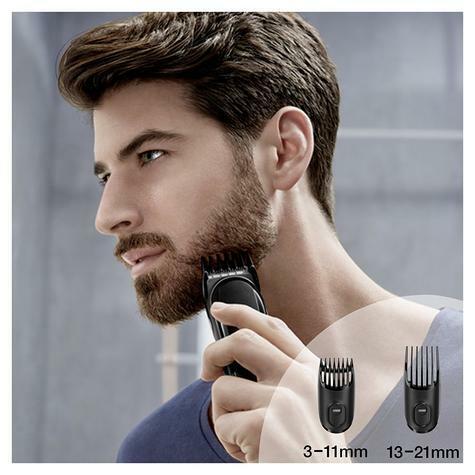 Achieve any beard style with 4 combs and a precision trimmer for stubble, short, medium or long beards. 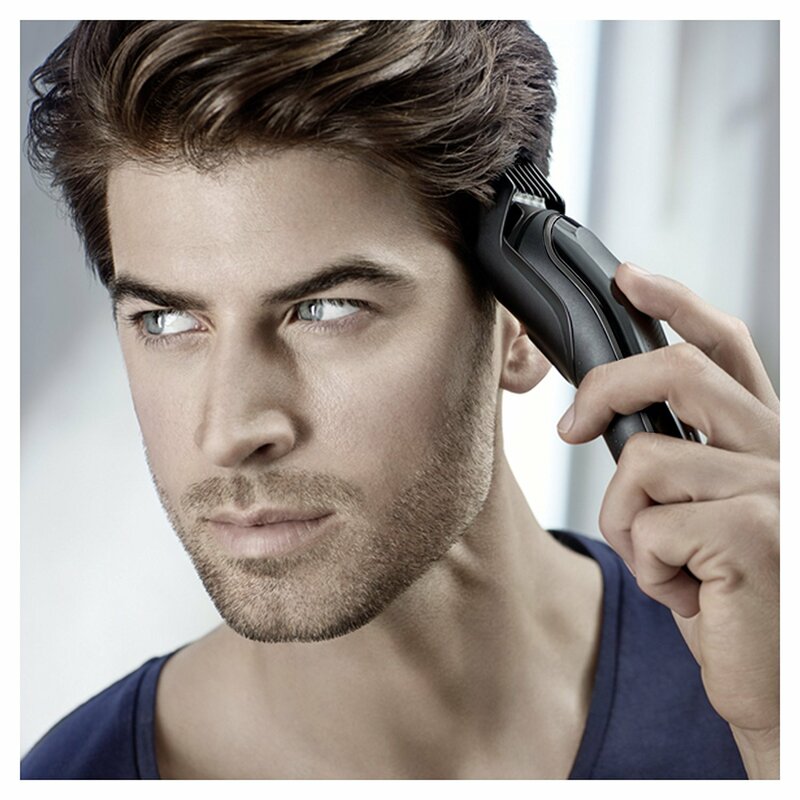 Adjust the length from 0.5 to 21mm for any desired haircut. 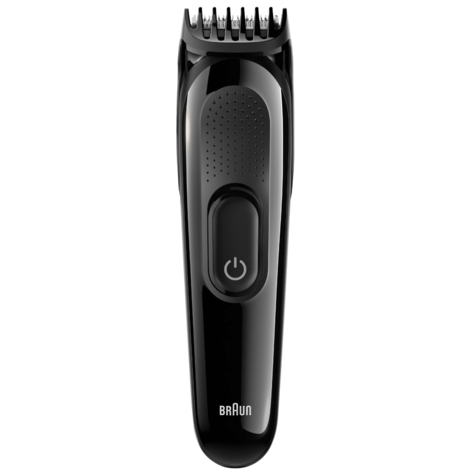 One charge provides 40 minutes of precision trimming with no performance loss. 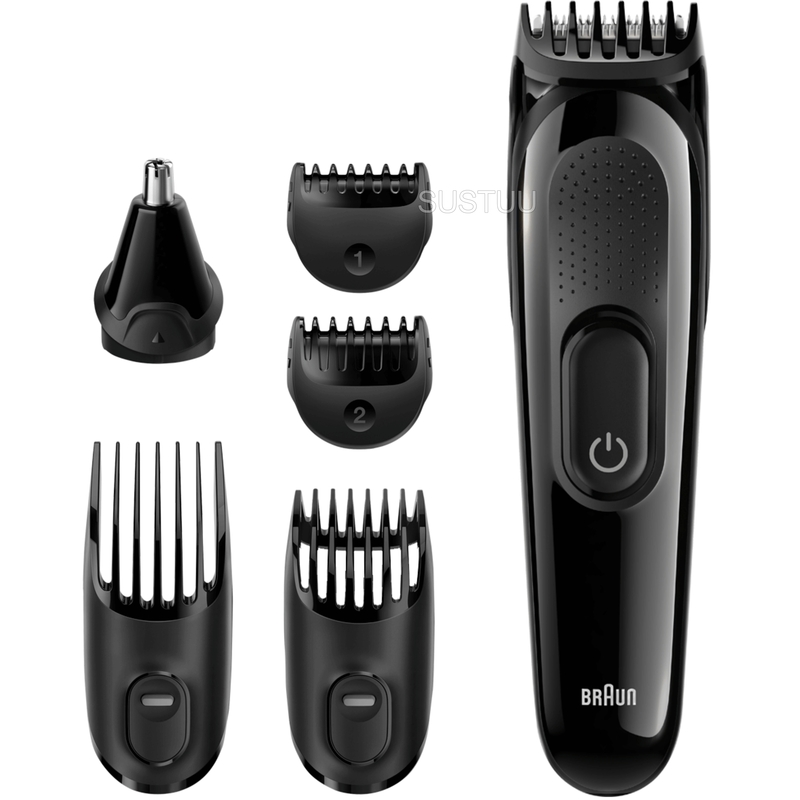 Washablehead and combs for easy cleaning under running water.